Plot with full planning permission for Dwellhouse extending to approx 0. 96 acres/ 0. 39 ha. Price over £80,000 Early entry. Viewing Mr Sleigh 07778 274053.. Plot extends to approx. 0.96 acre / 0.39 ha. Services believed to be nearby. Attractive rural location. Commuting distance of Aberdeen. Early entry available. TYPE OF PROPERTY This is a building plot with full planning permission and is located close to the hamlet of St. Katherines and lies alongside a publically maintained road. A plan is attached showing the extent of the site. Access will require to be taken off the A947 Aberdeen to Banff road. PLANNING PERMISSION Full planning permission exists and a copy of same is available at The Property Shop, Turriff. Alternatively, you may view this online on Aberdeenshire Council website under Planning Application Reference F/APP/2009/1080. SERVICES Electricity, mains water and telephone are believed to be nearby whilst sewerage will require to be by way of septic tank and soakaway. Any potential purchaser will need to satisfy themselves regarding the location and adequacy of any services required. DIRECTIONS From Turriff take A947 for Aberdeen and proceed approx. 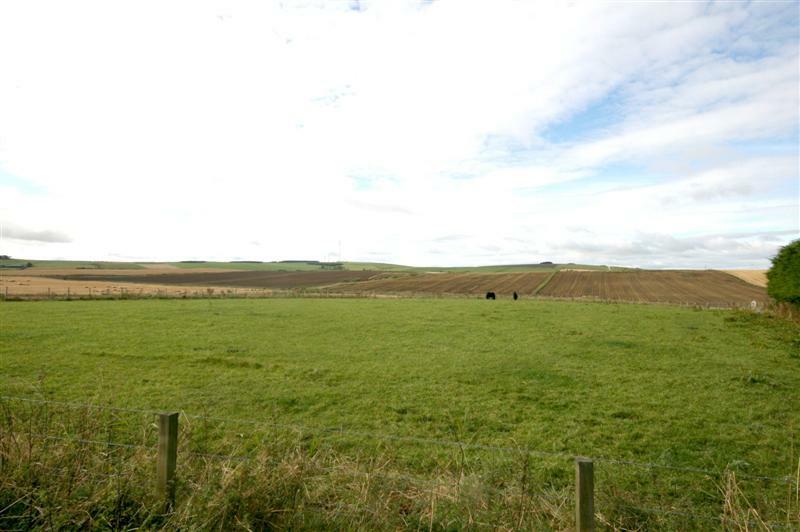 2.4 miles beyond Fyvie heading towards Aberdeen and the Building Plot is situated on the right hand side near Cromlet Farm.